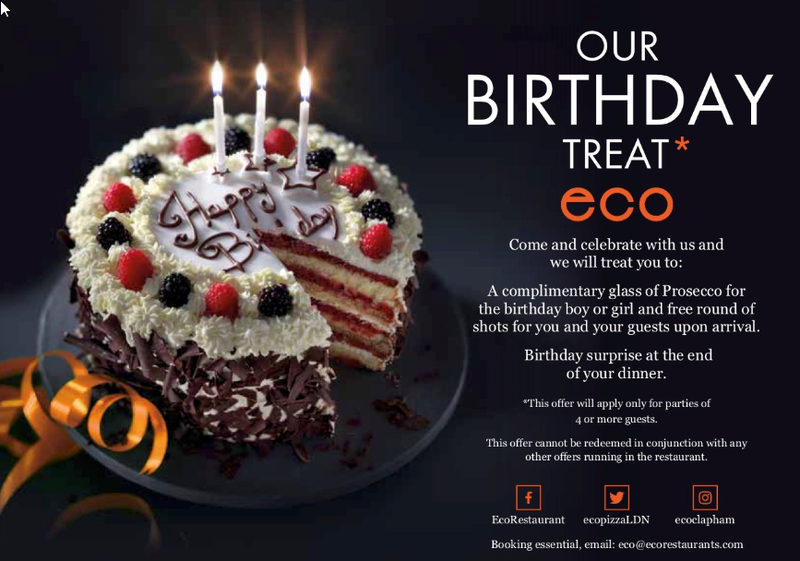 A complimentary glass of prosecco for the birthday boy or girl and a free round of shots you and your guests upon arrival. Birthday surprise at the end of your dinner. This offer only applies for parties of 4 or more guests. This cannot be redeemed with any other offer.